Just outside Ambleside on the Rydal Road, Crow How Country House is peacefully set in its own beautiful grounds, alongside Rydal Farm. 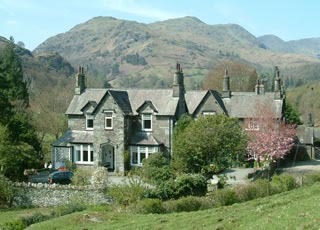 Nestling in a stunning rural setting in the historic Rydal Valley this grand Victorian building was built as a farm house in 1848 from the stones of ancient Rydal Hall, before being converted into a Country House Hotel in the early 1930’s. 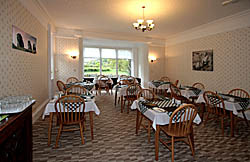 The house offers quality Bed & Breakfast accommodation in spacious surroundings. The house is open all year. 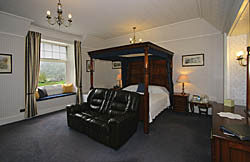 Nine rooms are available – 8 doubles and one twin/triple, all with good views of the surrounding valley and fells. 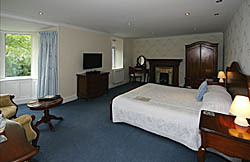 All bedrooms have en suite facilities, colour televisions and hospitality trays. Children over 12 are welcome. We regret no dogs. The house is strictly no smoking. For more information please go to our website www.crowhow.co.uk. 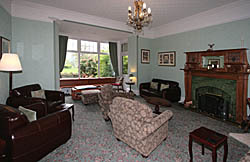 Terms are B&B from £98.00 per person per night.